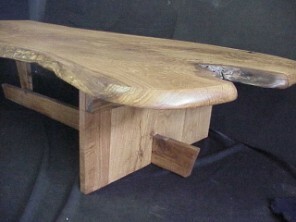 I have been creating unique natural table designs many years ( more ). Photographs on this page represent a few of many designs that work well for a larger dining and conference tables. Currently, we are seasoning a number of natural live edged slabs, including rare and large solid burls, for use in creating these unique pieces. Upon inquiry, please reference design styles by " name " or give me a general idea of what you seek. Big and bold slabs of swirling grained woods with bronze or glass legs. Ref. : "Slab Conference Table"
Glass Top Conference Tables click. Extremely unique & rare - 1,000 year old Solid Burl table tops with root base. View large 8 1/2 foot, solid burl, slab bottom of this page. I am saving this very unique piece for a special conference table or large dining table. It is highly figured solid burl. Between 2,000 and 2,500 years old. It is a full 3 inches thick and was cut from the center of a giant Redwood tree root. About 8 1/2 feet long and 59 inches wide. 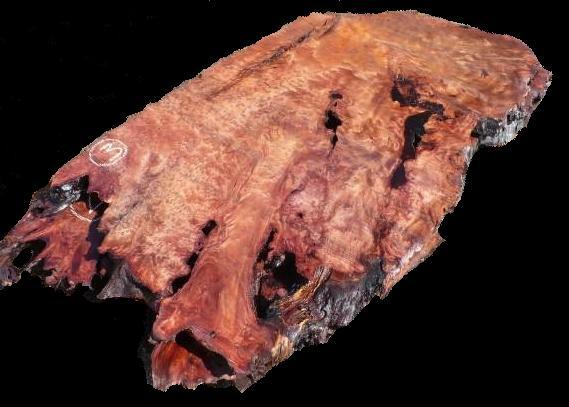 Re: 8 1/2 foot burl slab. Folks that view this page also view the pages below. 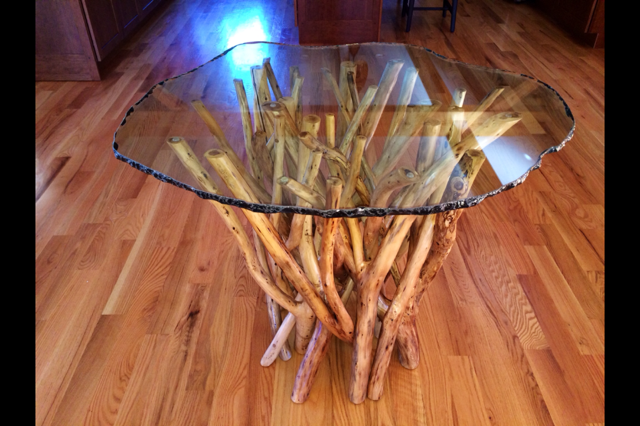 Photo below is of a tangle base designed to receive a 10 ft. long glass top.